A spectacular beach, that perfectly sums up all the characteristics of the other 'pearls' of San Teodoro: silky, white sand, water with hues ranging from turquoise to emerald green and its transparent seabed. 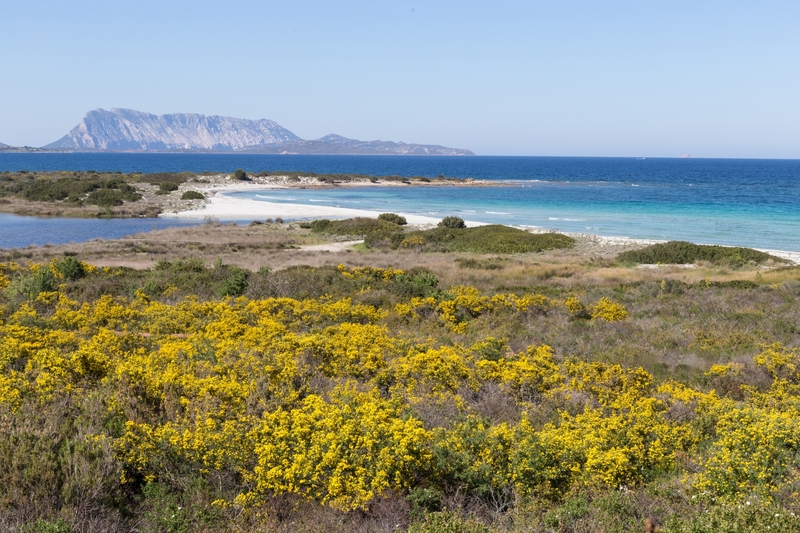 Colours that contrast with the fragrant Mediterranean scrub, typical of the Gallura area, surrounding the sandy shore: the yellow of the broom, the green of the myrtle and the juniper, the vermilion of the fruit of the strawberry tree. The Isuledda, which stretches for half a kilometre, is located a few kilometres south of the inhabited area of San Teodoro, on the promontory of the same name, which represents the southernmost limit of the marine protected area of Tavolara. 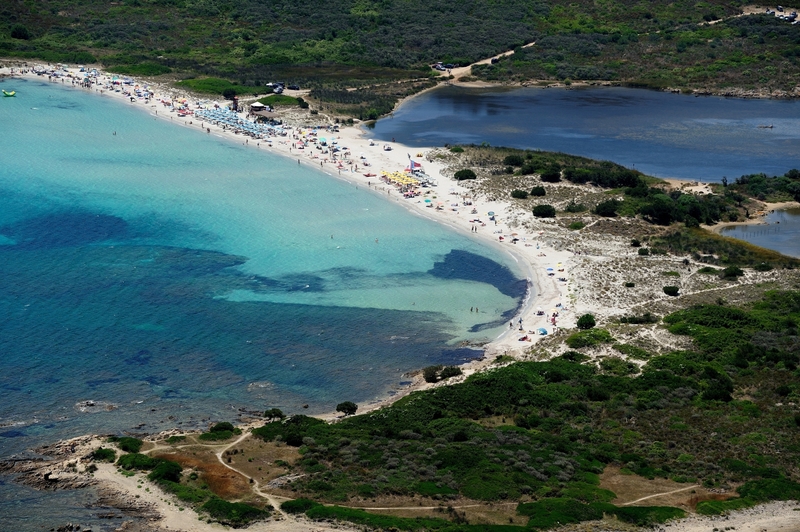 From the bay, to the north-east you can admire the powerful outline of the island you will see as far as Puntaldìa and Capo Coda Cavallo, where another two splendid beaches stand out. Behind the expanse of sand, there is a little lagoon that receives its water from the Lu Chissaggiu rivulet, which is the home of rare bird species. Around it, an immense expanse of olive trees and orchards frame the beach. The shallow waters make it easy to bathe and for children to play. Along the coast, there is ample parking and various places for dining and refreshments. You can rent beach equipment, pedalos and boats. The beach is also frequented by windsurf enthusiasts. A little further south of the Isuledda, in the direction of Porto Ottiolu, there are the beaches of Li Marini and Segafusti. Further north, you will find all the gems of San Teodoro, one after the other, starting from La Cinta, a narrow, infinite strip of golden sand embraced by a blue, crystal clear sea, and then the natural masterpiece of Lu Impostu, separated from a small promontory by the adjacent 'twin' beach of Cala Brandinchi, which is very like a tropical paradise. Still further north, there is the bay of Cala Ginepro and then the beaches of Coda Cavallo and Cala Ghjlgolu, very famous for its tortoise-shaped rock. It is reached from San Teodoro, following the Provincial Road in the direction of Ottiolu. Turn left towards Isuledda and follow the dirt track as far as the car park behind the beach. It can also be reached from the inhabited centre of San Teodoro, following Viale Cala d'Ambra right to the end, before taking the road on the right. Do you like this place? 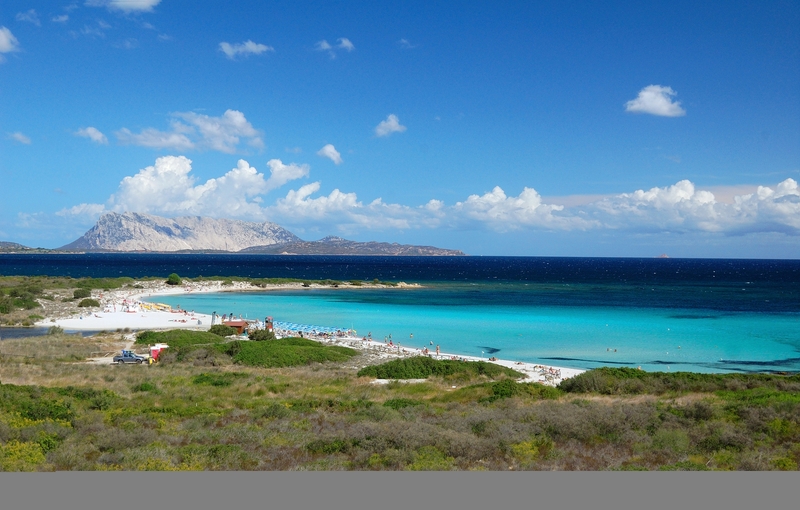 Palau and San Teodoro could be your ideal destinations.